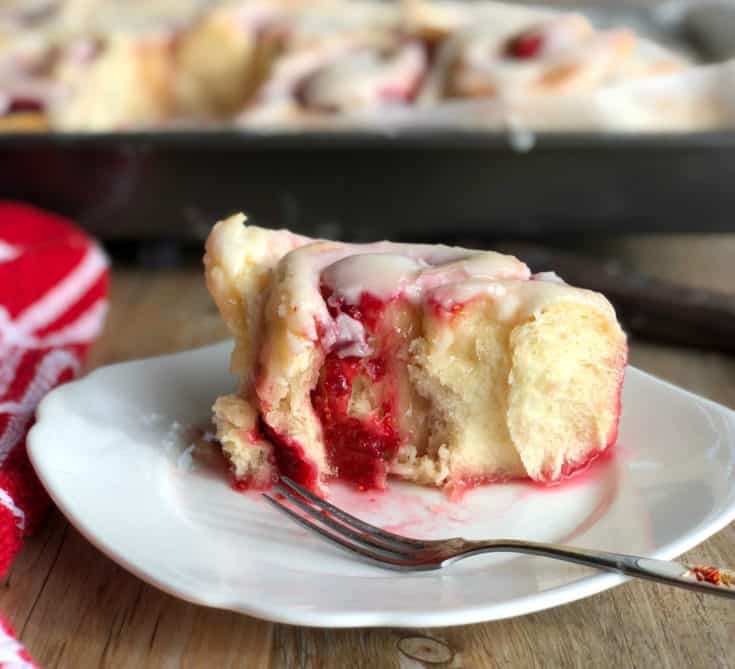 These Soft Raspberry Lemon Iced Rolls are everything you want them to be and more! 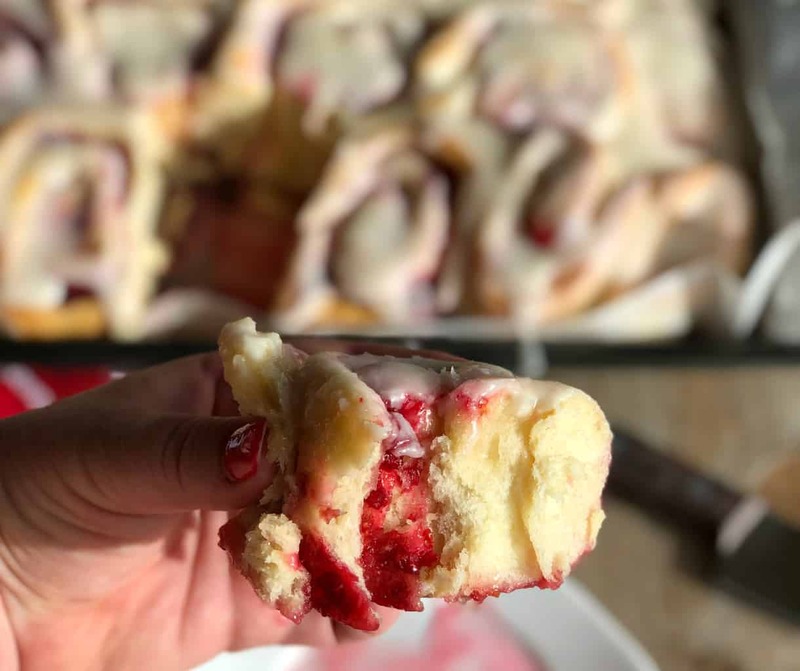 Delicious soft fluffy dough made from scratch with a gorgeous raspberry lemon filling topped with a dreamy lemon icing. What’s not to love! 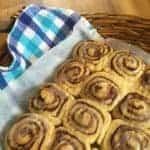 I have always been a little cautious around using yeast in my baking, whenever I use it I have not enjoyed the outcome and it tastes yeasty to me! Well these have completely changed that theory and now these might become the starting point to create more delicious dough related content. The process was lovely actually, especially if you have a bit of morning sunshine coming in the window to help raise your dough, a warm kitchen or even better a nice warm fire! 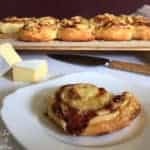 The only thing you need to create these cinnamon rolls is some patience and a mixer with a dough hook. 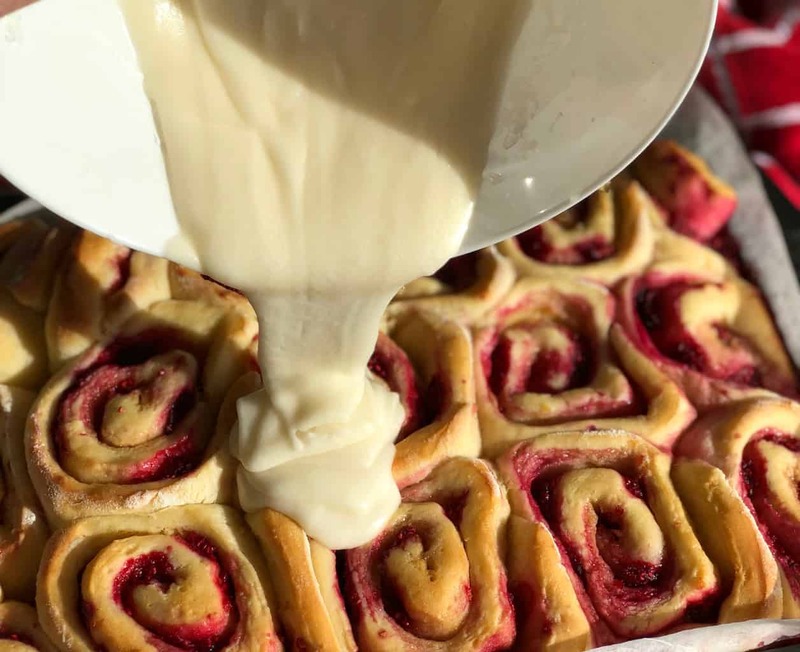 The process is really easy, but you want to allow time for the dough to rise twice in the process, so they might be ready for brunch if you start early enough. 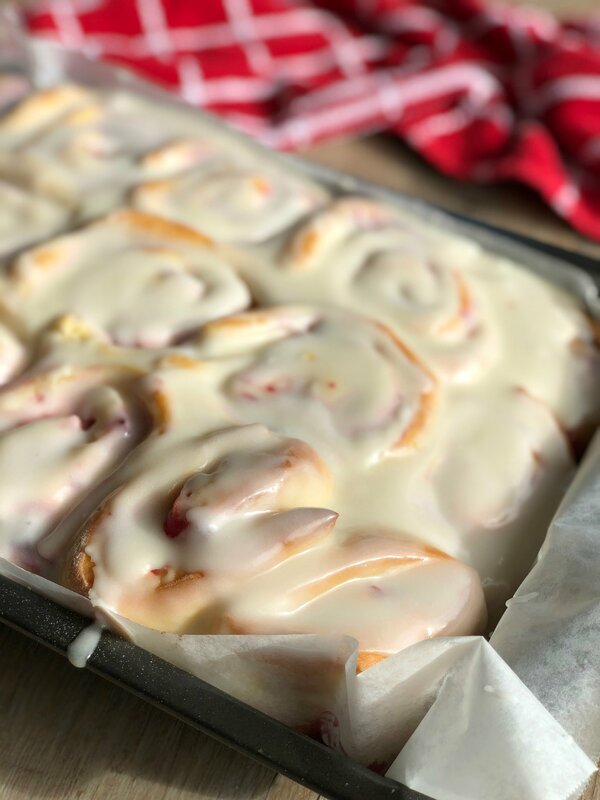 I love a sweet icing but I know many prefer cream cheese icing on their cinnamon or soft sweet rolls, so I will share my sweet icing recipe below, but feel free to swap out the icing for an online version of the cream cheese one. Or if you prefer you can leave off the icing all together but really, make the icing, it takes them from good to amazing! You will want to prepare a nice big area on your bench as the dough rolls out quite big, and then I bake them in my roasting dish for a lovely large serving. 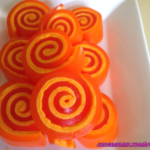 These can easily be frozen for another day, you can freeze uniced or iced and thaw before serving. 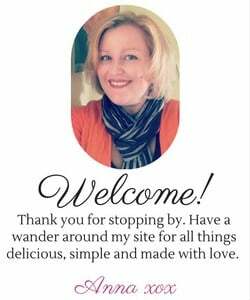 They are lovely just warm, or just as good room temp. The toppings are lovely and simple, I use frozen berries as they are juicier and also readily available. When I sprinkle the raspberry topping over I crush the frozen raspberries between my fingers to break them up, or you could crush them in the bowl and spoon on if you don’t want bright red hands! What other toppings would you try? 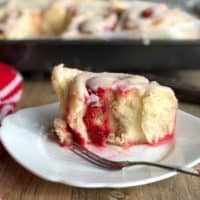 Delicious soft and fluffy rolls with a tasty raspberry, lemon and brown sugar filling topped with a sweet lemon icing. Add the beaten egg and combine until completely incorporated. Generously flour the bench and tip the dough onto the bench, sprinkle flour on the top of the dough and your hands and begin to knead the dough. Add a little flour if needed if you feel it is too sticky. Place the bowl in a warm place for 30 minutes or until the dough has doubled in size. Prepare a large bench area with a generous sprinkling of flour and prepare a 9in x 13 in (23x 35cm) roasting dish with baking paper, I spray the dish then this helps the baking paper stick better. You can make without baking paper but it makes it easier to lift out once baked. 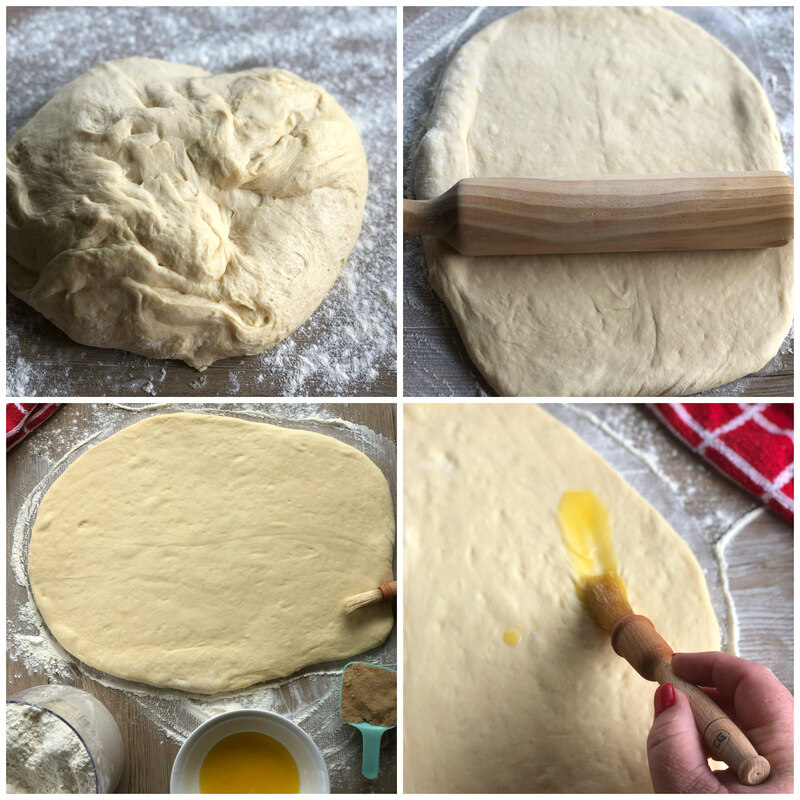 Tip the dough onto the bench and roll with a flour-dusted rolling pin to form a large rectangle, with the dough about 1cm thick. Sprinkle this over the brown sugar base crushing the raspberries in your fingers as you go. With clean dry hands begin to roll up the dough from the long side, as gently and tightly as you can with the seam finishing underneath. Cover the pan with a tea towel and set aside in a warm spot for an hour until the dough has risen again, doubling in size. Add tiny amounts of water until you have the desired consistency, I like mine to be quite thick but runny so I can pour it over the rolls and spread with a knife. Serve warm, or set aside once cooled in an airtight container or you can freeze iced or uniced for another day. 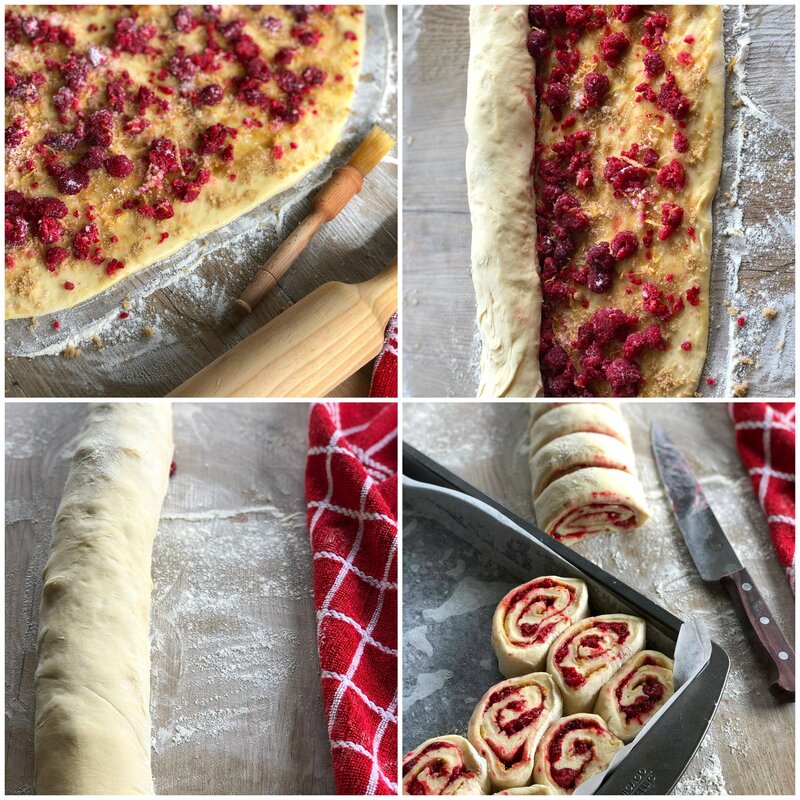 I hope you try these Soft Raspberry Lemon Iced Rolls, be sure to let me know what you think!